Re: No brickbats here: Best Bach violin partitas? Szering's recording for Odyssey-Columbia for me. I agree with Carlos 100 percent. 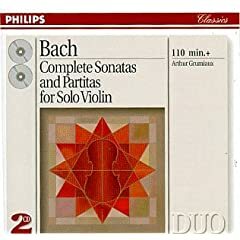 The early recordings of the Sonatas and Partitas remain unsurpassed. He got his Bach grounding from another great violinist Georges Enesco. We get the best of both worlds with their Bach Double Concert. The tragedy is that many here are too young to have heard the wonderful sound that came from his 78rmp. In most instances the CD transfer does not begin to give the the glorious sound that came from Menuhin's violin playing. The unique Menuhin sound is encapsulated in his 1934 version of Schubert's Ave Maria. I've enjoyed Ilya Kaler's recording on Naxos. 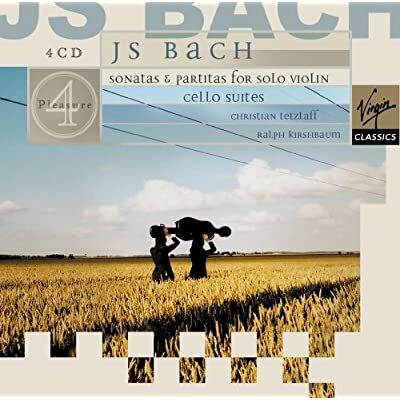 On modern violin, Christian Tetzlaff's excellent 1993 recording of the Sonatas and Partitas for Solo Violin (Virgin Classics) is available in a box set which is probably the best bargain of all as it includes Ralph Kirshbaum's excellent recording of Bach's Cello Suites as well. Tetzlaff's first recording of the Bach is excellent, and imo better than his later one for Hännsler. It's usually available very inexpensively (usually around $20 for 4 discs), so there's no reason not to have this on your shelves as well. That's the one I have also. IMO the Sonatas and Partitas by Hélène Schmitt should be strongly recommended too. She has a beautiful and fleshy tone, extraordinarily well recorded on Alpha Records. Her approach is rather personal and imaginative, not dry or academic. I would agree with you on that - an occasional listen now and then is truly refreshing. 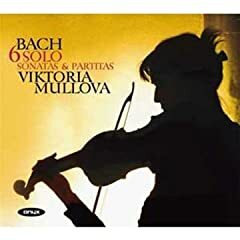 In a 2007 review in Early Music (written by David Irving) on "Bach Unaccompanied," she was grouped with John Holloway as "Baroque specialists" (in contrast with Jacqueline Ross and Richard Tognetti as crossovers who play on both period and modern instruments). Irving's sympathies appear to be with the baroque specialists. Strange. That has to be my least favorite Grumiaux recording and one of my least favorite S&P. Incredibly bland. Like Vanilla pudding without the flavor. Agreed. Though I'm aware that amongst many this is a favourite. No, I do not have one single Milstein's recording, on LP or on CD. I grew up in classical music with Szeryng and Grumiaux. Whaaa? You prefer the EMI recordings? Hmmm, well... That surprises me. Sloppy readings... I didn't, after hesitating for a second, think I needed to specify which Milstein I meant. Milstein is one of the bona-fide greats. Like Szerying & Grumiaux... although I'd put him ahead of either in soloistic terms. Try his old recording: http://ionarts.blogspot.com/2005/07/budget-picks-no-3.html For $3,- you could get worse introductions to Milstein. Anyone know Karl Suske on Berlin-label? But Milstein specialized in it as much as Szerying and Grumiaux. I have Milstein's '70s set. I need another one but never seem to get around to it. Maybe something that complements the Milstein nicely. My vote goes to the impassioned Enescu. Though I also enjoy Podger's a lot, as well. Yes, and he is one of my modern instruments favorites. Clean, noble and without idiosyncrasies.